Almost all publishers will ask the author(s) to write the book proposal. In fact, when the author approaches the publisher with a book idea, it would look much more professional and effective to have a well-written book proposal than a single page write-up about the book. Even in cases where the publisher commissions an author to write a book, it is a good idea and a best practice to write the book proposal and submit it to the publisher. 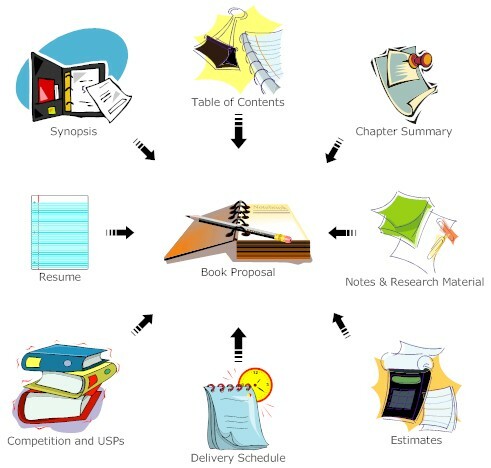 In this section we get an overview of what all goes into a book proposal. Even though, different publishers would have different requirements, all them will need to know certain basic facts. These form more than 90% of the book proposal and we will concentrate on those. To get an idea about what the different publishers need in their book proposals you can go to the publishers’ websites and download their book proposal forms (BPF). The book proposal will contain the details on how the author would like to go about writing the book. It will contain a synopsis, detailed table of contents, expected time for completion, approximate number of chapters, pages, and artwork. In many cases the proposal will also contain sample chapters of the proposed book. The book proposal will also contain the authors resume and will explain why she is the best person to write the book. It will also contain the unique selling points (USPs) of the book, the targeted audience, and other marketing information. We will see how to collect information, collate and organize them, and how to convert the information into a winning book proposal later. We will also see the structure and contents, the dos and don’ts, tips and tricks and more. We will also see a few sample book proposals.